Deadly opioids are killing tens of thousands of Americans every year, but many lives may have been spared this week thanks to the seizure of $3.5 million worth of Fentanyl and $1.1 million worth of meth. The drugs were found loaded under the floor bed of a truck attempting to cross the border at a Port of Entry, by U.S. Customs and Borders (CBP) in Arizona. Thanks to the keen instincts of border agents, the tractor-trailer transporting produce was stopped on suspicion. After undergoing an inspection, the drugs were sniffed out by a canine team trained to discern the smell. In press conference days after the Saturday seizure, officers emphasized the deadliness of Fentanyl in particular. The drug, which is 80-100X more powerful than a regular opioid, has increased in circulation around the country, contributing to the rising overdose death tolls. A recent CDC report shows more people are now dying from overdoses than car crashes each year, a stunning development. In fact, overdoses have increased by 54% in the past five years and Fentanyl is the leading cause of this increase. The driver of the truck holding the drugs is a 26-year-old Mexican national who will face federal drug trafficking charges. 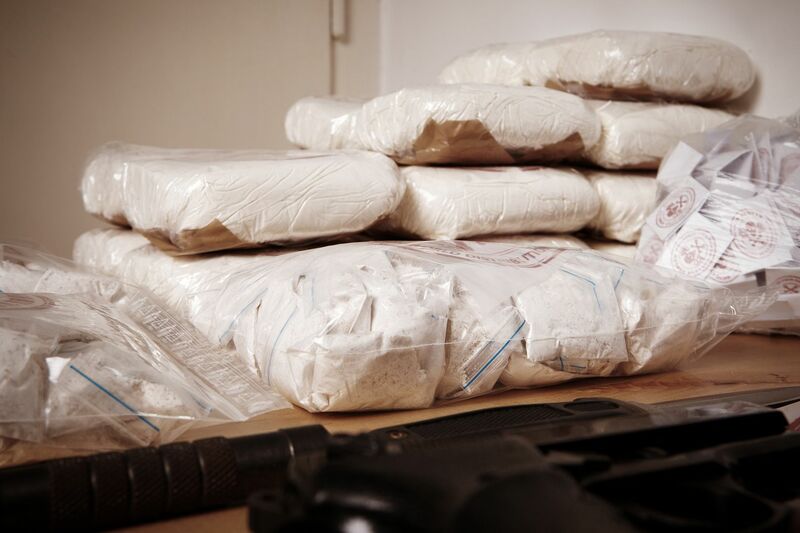 The Mexican drug trade is nothing new but with the popularity of far more powerful, deadly drugs, there is a renewed seriousness about securing the border. A recent Harvard poll shows that 80% of Americans prefer secure borders over open borders, but there is disagreement on what that security looks like. President Donald Trump and top Democrat leaders are in an epic battle over that specifically. The longest partial-government shutdown in American history just ended 7 days ago due to this disagreement, but that doesn’t’ mean any solutions have been found. Beyond the drug trafficking, there is a humanitarian crisis at our border and funding for barriers at our border would be only .1% of the entire government budget. While Democrats used to support a wall, they have changed their tune due to toxic politics and dislike of the President. The latest drug bust proves we are on the right path toward stopping some of the drugs entering our country, but we have a long way to go. Extending current border barriers may not stop the majority of drugs coming through Ports of Entry, but it will make it more difficult for some portion -- and will certainly will help curb illegal immigration, which fuels the drug trade as some of these individuals take up residence and establish connections in American cities at the center of the problem. Take action to help end the crisis and urge lawmakers to pass a budget the includes border security here.